This morning I attended a breakfast launch of the Manchester China Forum held at the Chinese Arts Centre in the Northern Quarter, which, Peter Bazalgette told us, was “as well known in China as the Tate”. The idea for the forum is to increase Manchester’s commercial connectivity with China. Founding partners include BT, Manchester Airports Group (which is shortly to commence direct flights to China) and Peel Group. Given that MMU has aspirations to engage with promising international organisations and establish them as key accounts, this forum looks spot on for us. So, apart from getting cramp (we were standing around for over two hours) and doing some valuable networking whilst enjoying dim sum from the Yang Sing, what happened? The Chancellor, George Osborne, talked of the second industrial revolution taking place in the East (of the world, presumably, unless something more is going on in Norfolk than I’m aware of). This, he said, should be viewed as an opportunity: both to bring people out of poverty and as a new market. Specifically, he wanted to make sure that the Chinese can go on holiday on planes with British-made parts and engines made by Rolls Royce, that Chinese students come to the University of Manchester (apparently not MMU) and he wants Manchester to lead this second industrial revolution through clever and strategic initiatives such as the forum, which “the Government will support 100%”. Lord Wei of Shoreditch (who is the first Chinese-origin UK citizen to become a Lord) told us that 60% of global GDP growth is from Chinese cities. To finish us off, Consul General Pan Yundong told us that this was the first city-based forum and that it could offer a timely launch-pad to build on China’s amazing growth: in the early Eighties, he said, China had an economy that was only half the size of California’s; since then 17 million people had been lifted out of poverty. So, an interesting way to spend Friday morning and definitely something with which we need to stay connected. Categories: Events, Knowledge Exchange | Tags: BT, China, Manchester Airports Group, Peel Group | Permalink. Research Fundermentals is the blog of Phil Ward who is the Research Funding Manager at the University of Kent and (along with the University of Bournemouth’s site) is one of the inspirations for our own, embryonic, MMU version. As well as often being very funny it is hugely informative as you’ll see from his latest post following the Economic and Social Research Council ‘s recent regional briefing event. This provides notes from the meeting including the ESRC’s “state of the union”, future plans regarding their Strategic Priorities and key research areas of interest, feedback on their Demand Management policy and info on success rates. Categories: Funder Intelligence and Policy | Tags: Blog, ESRC, Research Council | Permalink. 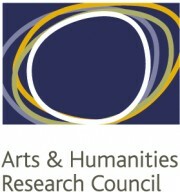 AHRC ‘Care for the Future’ : Meetings to announce a new Large Grants call soon…. The Arts and Humanities Research Council have 4 priority themes one of which is ‘Care for the Future: Thinking Forward through the Past’. This theme “affords an opportunity for researchers in the arts and humanities to generate new novel understandings of the relationship between the past and the future, and the challenges and opportunities of the present through a temporally-inflected lens. Importantly, it offers academic researchers in these fields the opportunity to facilitate and activate collaborations with partners including those outside higher education institutions in the cultural and creative sectors both in the UK and internationally”. If the Call runs in the same way as it did for their other themes then it is probable that projects will be £1-£2m fEC over 3-5 years with 2-4 projects funded. Categories: Events, Funder Intelligence and Policy, Funding Opportunities, News | Tags: AHRC, Event, Funding, Humanities, Research Council | Permalink. Interested in Digital Community Research Co-Production Projects in the Arts and Humanities? Hold these dates! AHRC are currently planning three town meetings across the country to launch the call for Digital Community Research Co-production projects in the Arts and Humanities. This call relates to both the Connected Communities Programme and the Digital Transformations in the Arts and Humanities Theme. Delegate slots will be allocated on a first come first served basis and full details of how to apply to attend, along with final details of the event locations and timings will be published on the AHRC website once confirmed. Categories: Events, Funder Intelligence and Policy, Funding Opportunities, News | Tags: AHRC, Arts, Event, Funding, Humanities, Research Council | Permalink. Nesta, the UK’s Innovation foundation have announced a new £14m Centre for Social Action Innovation Fund now open for applications. The Innovation Fund is the first initiative from the Centre for Social Action, which has been established by the Cabinet Office to support programmes that encourage people to create positive change through social action. The Fund will focus on a small number of big social challenges – from helping older people to age well to supporting young people to get into work – where it is demonstrable how social action can make a difference and is under-exploited by the existing approach of public services. The fund is open to applications from public services, charities, social enterprises and for profit businesses and can provide financial support – from £50,000 to £500,000 – and non-financial support, including advice and helping to make connections with purchasers and investors. Ventures and programmes selected will be expected to harness social action to work alongside public services and be sustainable as well as supported by a strong management team. They will also be expected to commit to rigorous measurement of their impact. The Innovation Fund will be open for two years from April 2013 and will look for innovations in specific priorities. The first four priorities above are expected to be open for applications for six months (until the end of October 2013). Further priorities will be opened for applications in due course. Categories: Funder Intelligence and Policy, Funding Opportunities, News | Tags: Ageing, Arts, Business & Management, Funding, Health, Humanities, Interdisciplinary, Technology | Permalink. Research Europe, Research Professional’s service for European news, has reported on plans for implementation of Horizon 2020, with detail of a three year plan for 2014-16 emerging. These topics are likely to be supported beyond 2016, with the possibility of adding two new topics of “innovation growth in rural areas” and “nature-based solutions” at a later stage also raised. 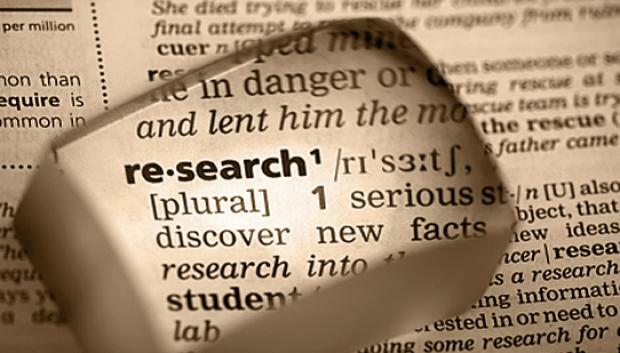 Calls for proposals, anticipated for January 2014, will support the full range of research and development including: basic research; proof of concept; piloting; demonstration projects and standards setting and policy frameworks. Funding will continue to be available for excellent basic research through the European Research Council, which will continue to manage its own programme of research. However, it is anticipated that there will be more industrial focus within the Marie Sklodowska-Curie Actions with increased support for industry-academia secondments and industrial doctorates. Categories: Funder Intelligence and Policy, Horizon 2020, News | Tags: Europe, Horizon 2020 | Permalink. Money is available through Framework 7 for starter grants for academics who are taking on new positions at MMU to help them establish their research. Marie Curie Career Integration Grants are open to academics from outside the UK who have recently joined MMU or will join MMU in the near future. Academics can apply for up to €100,000 over four years which they can use as a contribution to their personal programmes of research – providing enough funding to support a three year PhD studentship, or to cover costs of teaching replacement and travel associated with periods of fieldwork. To apply for the funding you need to demonstrate your research track-record, the impact of your research and your potential as a research leader of the future. The final deadline for the current round of funding is 18 September 2013, but all indications are that there will continue to be funding available when Horizon 2020 comes on stream in 2014. For more information on the scheme (including eligibility) and support in developing your application please contact Margaret Eastcott on euro_res@mmu.ac.uk. Categories: Funding Opportunities | Tags: Europe, FP7 | Permalink.